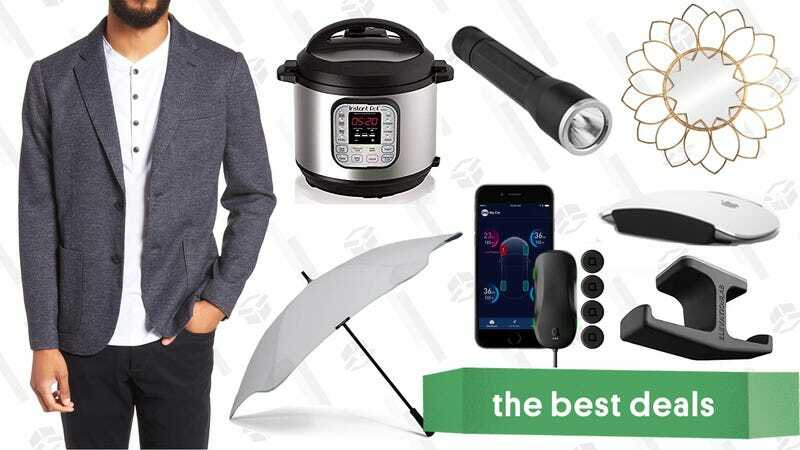 Huge sales at Nordstrom and Wayfair, $25 off an Instant Pot, and many more kick off today’s best deals. If you’re ready to make the switch to a projector-based home theater, or if you recently picked up a portable projector, this is one of the most affordable screens we’ve ever seen. Just use promo code 6VNY6PAG at checkout to get the 120" screen for $5, complete with 20 Velcro strips to help you hang it up. Update: We’re having some trouble with this promo code. We reached out to Elevation Lab, and will update this post when we hear back. Apple’s Magic Mouse has a lot of good things going for it—I’ve been using one for years now—but ergonomically, it’s a mess. And while Elevation Lab’s Magic Grips don’t exactly turn it into a palm-shaped Logitech, they do make it noticably more comfortable to use for extended periods, and you can save 25% on a set today with promo code KINJAMAGIC. Each pack of Magic Grips includes a few pieces of molded silicone designed the fit the contours of the mouse’s sides. Just pick the width you want, peel off the 3M adhesive backing, and stick them on. 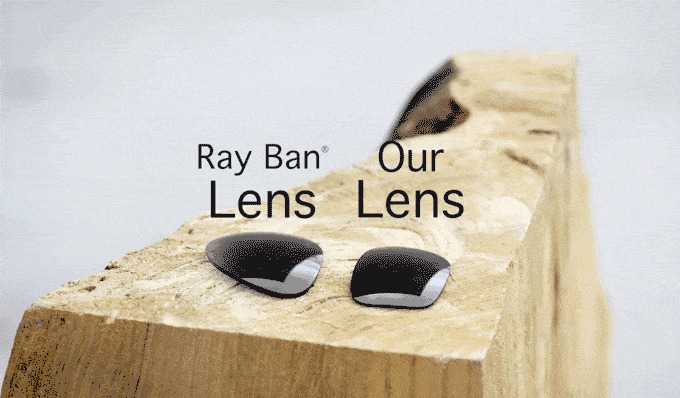 The product costs about $10, installation takes under a minute, and it’ll make the mouse you use for hours per day noticeably more comfortable, possibly for years to come. That’s a pretty great value proposition. Elevation Lab’s Anchor headphone stand is so simple, but so genius, that it really ought to be built into every desk in existence. Nominally, it’s a hook to store your headphones so they don’t take up desk space, but you could also use it for hats, jackets, umbrellas, or really anything else that hangs. The Anchor doesn’t see discounts often, but for a limited time, you can save over 20% with promo code NOCLUTTER. Twelve South’s HiRise is the most attractive smartphone stand you can buy, and according to The Verge, a pretty great Nintendo Switch dock to boot. It normally sells for $40, but the black model is marked down to $20 right now, easily the best price we’ve ever seen. We’ve posted a lot of SSD deals around these parts, but I’m pretty confident this is the first time we’ve seen a ~1TB drive fall below $140. It’s not the fastest drive you can buy, but it’ll still be a massive improvement over any mechanical hard drive. Just be sure to use promo code AD24 at checkout (must be signed in) to get it for just $136. Smart plugs are the gateway drug to home automation, and TP-Link’s model with energy monitoring is down to $20 right now, the best price we’ve ever seen. This thing adds smartphone and Alexa control to any power outlet, and unlike some less expensive models, it’ll also tell you how much electricity is running through it so you can identify what’s running up your power bill. If you missed out on Prime Day’s Philips Hue deals, you’re not totally out of luck. This two-bulb color starter kit is marked down to $100, from its usual $150. It’s just like the four bulb kit, but, you know, has half as many bulbs. If you already have a Hue hub, you can add a Lightstrip to your setup for $70, if you’re a Prime member. That’s a few bucks more than it was on Prime Day, but still a great deal. Just note that you won’t see the discount until checkout. Remember when thousands of people would line up for hours to buy Snapchat Spectacles from a vending machine for $130? That was kind of dumb in hindsight, huh? But they are pretty neat, if you’re into that sort of thing, and much easier to justify for $60, no queueing required. If you’re planning on fleeing the country taking a trip overseas anytime soon, you’ll want to pack this universal outlet adapter, which can convert a UK/EU/US/AUS AC outlet into any other type of outlet, and includes four USB ports for your mobile devices too. I just used this exact model on a trip to France and England, and it worked great..
Next time there’s a storm, you could spend $5 on a drugstore umbrella that will last approximately 40 seconds before disintegrating into flying shards of metal, or you could invest in a Blunt umbrella for 20% off with promo code PWGHJO2N. Update: If you missed it a couple of weeks ago, this deal is back! Use promo code 8DDXEWCE at checkout. Extra bedding and off-season clothes can eat up a lot of room in your closet. Pack it all up in this $12 underbed storage bag (with code 8DDXEWCE). It’s a couple bucks off today and the best price we’ve seen since April. Most laptop bags are all the same - black, full of noisy Velcro, and not that nice looking. But this Lifewit bag is actually incredibly functional and attractive. It’s made with durable genuine leather, has a padded interior large enough to fit a 15.6" laptop, and extra pockets for things like your phone, chargers, and more. Pick it up for just $32 with promo code QVGGNNTU. String up these trendy Edison bulb string lights in your backyard and make Pinterest proud. This 49-foot strand is completely weatherproof, so you can leave them up year-round. Although not the best price we’ve seen on these, they normally sell for $50, but today you can light your space with them for $43. It’s safe to say we’re fully in cold brew season. Stock up on six 11 oz bottles of Starbucks cold brew for just $13 after the 25% off coupon. Considering Starbucks would charge you $5 just for one, this is a no-brainer. Although not quite as cheap, Amazon’s also taking 25% off the sweetened and vanilla flavors too. The best spatula is made of 100% silicone, can withstand heat up to 550 degrees, and is totally nonstick and dishwasher safe. Get it for $10 today, a match for an all-time low. While most modern cars include a dashboard light that lets you know when a tire is getting low on air, Nonda’s ZUS tire safety monitoring system can tell you a whole lot more. Just plug the Bluetooth caps onto your tires’ air valves, plug the receiver into a DC outlet in your car, and pair your phone. You’ll be able to see the exact pressure of all four tires, get warnings when any of them have slow leaks, and even see how hot each tire is getting, which can be a warning sign for a blowout. You can get it for $90 today at checkout with promo code 4TJELDG2, but burn rubber, because this deal is only available today. Just remember, this $100 price is only available today, or until sold out. Shock of all shocks, OXO makes a really good salad spinner that doesn’t go on sale often. Boasting a 4.4 star review average from over 3,000 customers, you can score a rare $6+ discount today on Amazon. The outer bowl works as a serving dish, and the inner compartment can be used as a regular colander, so it’ll earn its space in your cabinets. These containers come in six different sizes, and yet you only have to deal with three different lids, making it much easier to find the right one. The 24 piece set (smaller than the typical 42 piece set we often post) is on sale for $9 today on Walmart. We’ve seen better prices in the past, but this set has been selling for around $15 pretty consistently this year, so you’re saving about $6. Not too shabby. Let Alexa be your microwave kitchen assistant with this discounted bundle. For a limited time, you’ll get the GE countertop microwave and an Echo Dot (a $50 value) for just $155. You’ll be able to command Alexa to do simple tasks that you would normally have to get out off the couch to do, like “Alexa, add 30 seconds to the cook time” or “Alexa, stop the microwave”, but by far the coolest feature is how you can use your phone to quickly scan your food’s barcode, and then the microwave will automatically adjust cook times, power levels, and more according to the package’s instructions. It may not sound like much, but how many times have you had to fish through the trash because you popped your food in the microwave only to immediately forget how long to cook it. The microwave alone is $140, so it’s like you getting this Echo Dot for $15, a pretty solid deal. This bundle will only be available for a limited time, so if you’re wanting to smarten up your kitchen, this would be a great buy today. This blender is just $21 today, which is just a $1 away from its all-time-low price. Not sure what to use it for first? My suggestion: Make some refreshing watermelon juice using Alton Brown’s method. This Vogek sphere mold is just $9 today with promo code KKG3O3KL, and if you take pride in your drinks, it’s worth every penny. Every page of the notebook can be cleanly erased an essentially infinite number of times with a damp cloth as long as you used a Pilot FriXion pen, three of which are included in this bundle. The pages also include a series of seven glyphs along the bottom that you can cross out with a pen. Once you scan the page with Rocketbook’s app, those symbols tell the app what to do with it. Cross out the horseshoe, and the app will automatically send the scan to, say, Evernote. Draw an X through the star, and it’ll go to Google Drive. You can specify what each of these symbols do in the app, so it’s easy to customize the notebook for your workflow. Today’s deal is $33 for a notebook in the size of your choice, plus three pens, and a pen station that can clip the pen to the notebook with promo code KINJABOOK. Even if you don’t need both for yourself, these could make great gifts as well. At just $6 per pan, this is about as cheap as frying pans will get. The $18 nonstick 3-piece set includes a 8", 10", and 12" pan, and today’s price is an all-time low. Are these going to be the highest quality pans you’ve ever used? Pretty doubtful, but I’m sure they’ll get the job done. At the best price this mop has been in over a year, the PowerFresh cleaner can really can dig into grout and crevices, which has always been a pain point for this kind of mop. Plus, it has adjustable steam settings, a removable tank, and the option to add in scent discs, if you’re trying to really freshen up. At $76 today, it’s about a $10 less than usual, and a great decision if you have a lot of hardwood or tile floors. This deal might not last long, so grab before it sells out. Sushi Striker is a new Nintendo puzzle game about <checks notes> matching plates of illegal sushi to throw at an opponent across the table. It sounds bizarre, but it’s really fun, and $8 off today on Amazon for the Switch. Bayonetta and Bayonetta 2 are available for Nintendo Switch, where they always belonged, and you can get a copy of both for $52 today, down from the usual $60. That’s not a huge discount, but it rarely goes on sale at all. Just note that while Bayonetta 2 is on the physical game card you’re buying, the first game is a digital download. Prime members can still preorder and save $12 on Bayonetta 3 as well, though it doesn’t have a release date yet. Walmart has the NES Classic in stock right now, with a catch. You’ll pay $20 more than MSRP, but you’ll get a 10,000mAh Pokéball USB power bank with it, which as far as mandatory toss-ins go is actually pretty cool. I’m seeing delivery or in-store pickup dates of July 26 here. Don’t care for the Pokéball? GameStop still has the console “in stock” for $60, with shipping (not delivery) by July 27.